Today we learnt all about bizarre and beautiful world of deep sea fish! 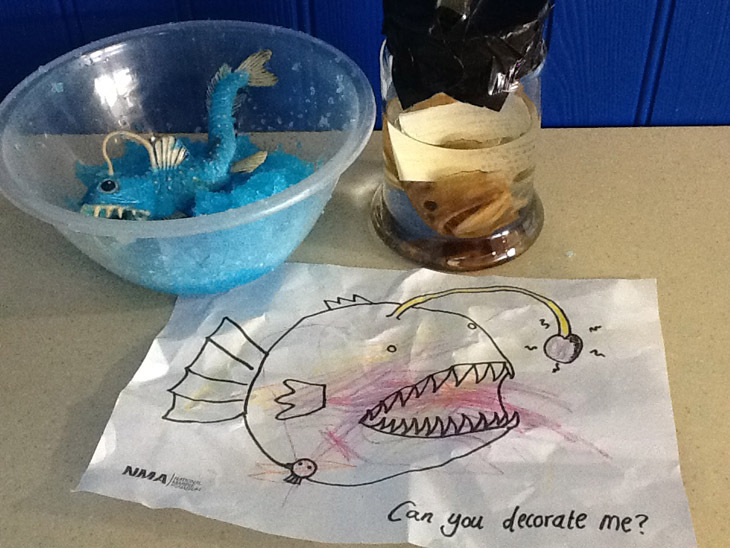 First, we practiced our animal sign language and then we dived into learning about the different body parts of a fish, how deep sea fish are different to ones in the shallows, looked at a real deep sea specimen and then decorated our very own anglerfish! After going for an explore to greet some newly arrived fish (teeny, tiny versions of our favourite Boarfish Denzel! ), we headed back to the café to have some slimy sensory play with toy animals and lovely squashy bowls of jelly to learn about how deep sea fish are often very gooey and soft! A wonderful time was had by all! What makes deep sea fish special? Deep sea fish live in a place which is very challenging! It is very cold, very dark and they are squashed by the pressure of all the water sitting on top of their heads! To cope with all that pressure deep sea fish like the Blobfish have bodies made of squashy jelly. If scientists bring them up to the surface they turn into big blobs of slime! 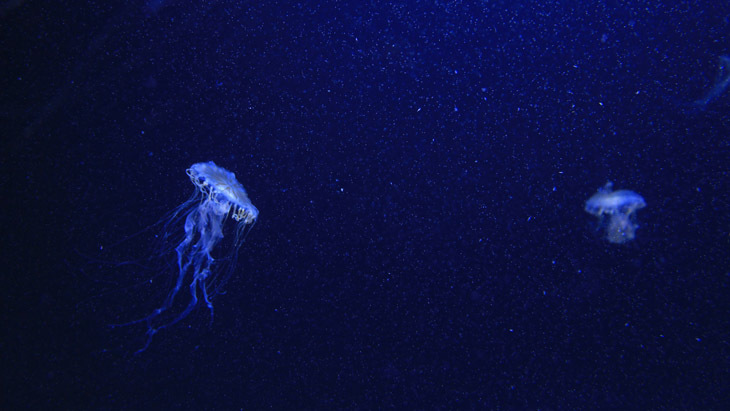 Deep sea fish often need big eyes to see in the darkness and some can even make their own light, we call this bioluminescence. Anglerfish have a special fishing rod sticking out from their head called a lure! They make this glow in the water and the bewitching light makes fish swim straight into their big, toothy mouths! In 2014, scientists discovered a species of fish called a Snailfish which was found down at 8000m! This is the deepest living fish we have found so far but there could be many more undiscovered species there! Next Week: We have two more sessions before we break up for Christmas and next week we are going on an odyssey of learning about the odd lives of deep sea Octopuses! Toddler Tuesdays happens at 10:30am and is limited to 15 spaces per session and tickets are sold on a first come, first served basis! Come along early to avoid disappointment.